If you have fallen into the category of a second-home owner who is having financial difficulty and trouble selling it, there are things that you can do to try and save money. Wait for rates to come down again and re-finance the loan. Hold off on any planned home improvements. Rent the property. You may rent your property for up to fourteen days before having to report the income to the I.R.S. This is a wonderful option if your property is near a popular annual event that brings in many out-of-towners needing places to stay for the event. Donate the home to charity. You can donate a week for a charity auction and then possibly deduct the fair market rental value from your income taxes. A home can be donated as a Life Estate, which gives the homeowner the right to live there until death and provides a large tax deduction. 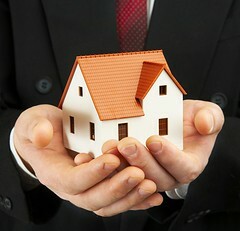 If you are ambitious you could hire a tax attorney and appeal your property taxes. Many property taxes were assessed on values at the peak of the market, and are now valued much lower. Write up a written agreement or family limited partnership to share the financial burden of the second home with a “partner”. This could be a family member, or not. To earn more about possible tax advantages of second-home ownership go to Family Education. Leave your pet in the house, assuming that prospective buyers are probably pet owners as well, and will enjoy meeting your beloved furry friend. Let shrubs get so big that it blocks out light and has the look of an abandoned house. Assume that a buyer will not mind having a list of unfinished jobs to do around the house, if they purchase the home, that is. Assume that a prospective buyer is interested in all of the details of your extremely long kitchen renovation - with a photo album detailing each step. Forget to put away your personal papers, such as bills or bank statements. Use sickeningly sweet scented candles. Most buyers consider it an alarm bell for deeper odor issues. For more information on Home Staging Tips view this website. Flowers, flowers, flowers. Nothing welcomes a potential buyer more to a home than colorful flowers. Keep walkways clear, trimmed and weeded. Dust everywhere. Even the baseboards. Since potential buyers look everywhere, make sure underneath your sinks and closets are clean, clutter-free and odor-free. Remove all personal items such as framed photos, awards and collectibles. Buyers need to be able to imagine the space as theirs. Paint any room that is a bright color, a neutral color. Remove any worn or outdated furniture. Repair any chipped or smudged paint, broken fixtures or squeaky doors. For more information about home staging go to Home Staging Information. Spruce up that entryway, or change it to appear more welcoming as a buyer enters through the front door, with an attractive bench or chair and a vase of fresh flowers. Houses can lose their appeal to a buyer if there are dirty dishes piled in the sink, piles of laundry or dust. It is hard work to keep your house sparkling at all times for a surprise showing, but very necessary. Kitchens sell a house. If yours looks old, a buyer might ask for up to $10,000 off of the asking price. Specifics to focus on are change the countertops, install new hardware and change to a neutral paint color. Even replacing just one appliance with a stainless steel version makes a difference! Never forget to remove any personal items such as family photos and collections. It makes it harder for a buyer to envision themselves in the space if all they see are dozens and dozens of hummels. Light is good! Even if you prefer a darkened space, remember that a prospective buyer looks for as much light as possible. Remove drapes if you have to to let in light, or trim back large bushes or trees that are preventing light from entering a space. Empty those closets so that at least half of it is visible. Many sellers find that they have to put things into temporary storage elsewhere, but this effort pays off as a buyer needs to believe that they have a myriad of places to put all of their “stuff”. In this economy try your best to be brave and list your home at 15% to 20% off of its value. This strategy has a track record of creating many buyers with bids, that often end up over the ask price. For more information about how to properly price your home for sale go to “How Sellers Can Maximize Profit”. Throwing an Open House Party. The offerings at these shindigs are wine, catered food, live music and prizes. Consulting a Feng Shui home stager. Their homes are being rearranged to make potential buyers feel more welcome by following the ancient chinese philosophy to improve the home’s “chi”, or energy. Helping buyers with the financing. Many are offering lease-to-own deals, financing it themselves, paying the closing costs, or paying a point to lower the interest rate for the buyer. Burying statues. People are swearing by the fact that shortly after burying a statue of the patron saint of family and household in their yards, they sold their homes. Throwing in BIG extras to seal the deal. Gone are the days of generously offering a big-screen TV. Sellers are now offering cars, vacations, home upgrades, furniture stipends and even a year’s mortgage. For more interesting ways to consider selling your home faster go to the Fun Times Guide. If Your House Is On The Market, Here Are Some Interesting And Creative Ways To Help Sell It! Putting your house on the market is always a challenge in that you must look for ways to make it the most appealing it can be to potential buyers. Beyond the tried and true rules of emptying closets and keeping all rooms tidy and clean, here are some things you may not have thought of that can have major impact during a showing or open house. If you have a small room in your home that you would like to appear more spacious, paint it the same color as the room it is attached to. This will convey a more seamless, spacious feel. Another trick to convey spaciousness is to keep all window treatments in small rooms the same shade as the walls. Paint your sun room an attractive shade of green. It really does help to bring the outside in! If you have a narrow room, add wall shelving. This gives the space depth, without crowding out occupants. If you are upgrading to sell, choose Eco-friendly materials. Buyers are showing more interest in homes with these materials. For example, consider cost-efficient and “green” cork flooring instead of hardwoods. Consider breaking up a finished basement into “zones”. For example, furnish one area for reading, another area for a bar, one for games, one for a workspace with a desk and another for lounging in front of the television. If your kitchen is outdated and you do not want to renovate, replacing old appliances is highly suggested. Studies show that sellers recoup every penny spent on new appliances!